Consider the value that YOU give...To your clients, your colleagues, your organisation. Who gives YOU the same value when it comes to your own career and life in general? Welcome to theaccountantscoach , I'm Carol McLachlan, accountant, NLP Practitioner and professionally qualified coach. My 18 year career at Ernst and Young as an Auditor and Director of Resources has equipped me with a real understanding of the professional and personal issues that accountants face. My skill is in enabling accountants and other professionals to tap into their own inherent resources to achieve their maximum potential. Find out more about my background and philosopy. You’re a busy accountant. Over-committed, under pressure, daily challenged. In an environment of increasing technical complexity. You want to find ways to work and play smarter. You long to fulfil your potential in all aspects of your life and work. You want to take control of your career. Or skill up for the next career move. How do you find the time to think about any of this? Who do you turn to when you want to bounce ideas, share your aspirations? Who can provide a new perspective, a listening ear, a sounding board? Who can help you make the best of the opportunities you already have, while planning the next move? You need someone independent of your current career, non-judgemental and wholly confidential. The solution: working one-to-one with theaccountantscoach. To set goals, take action, max your performance. Headed up by Carol McLachlan, all our coaches and trainers draw from their own front line accountancy experience, both as practising professionals and developing other accountants, theaccountantscoach is the only independent to specialise in coaching the accounting profession across the globe. Using cutting edge techniques, drawing on extensive skills from personal experience in the profession, applying certified coaching expertise, you can have a bespoke coaching or training programme designed to meet your unique needs. Choose between face to face, telephone or the innovative e-coaching programme. Or invite theaccountantscoach to speak at your conference or design your accountant-centric group development programme. And did you know that personal development (as well as professional development) coaching can count towards your CPD requirment. Think how relevant and valuable your CPD could be. Imagine what you could achieve, working one-to-one with a coach, focussed 100% on your goals,, your actions, your results……. Email now to book your FREE consultation. "I found Carol’s coaching style tremendously helpful to build confidence and to make important decisions in an effective and sustainable way." "I now realise the talents and skills that I have… The encouragement and support received from my coaching discussions has made me feel 100% more confident in doing the job that I do." Problem solving: Can we fix it? Yes we can! Accountants solve problems. From CCAB syllabuses, to job ads, to client expectations, there's no denying that problem solving is a core professional skill. Just think about the problems you solve every day: the thorny tax issue, the holes in the accounts, the judgment call. And yes, other professionals solve problems too. But I'll wager that the sheer depth, breadth and variety that accountants encounter takes some beating. Forget Jim: the accountant'll fix it! And what a transferable skill! Think about it. Problem solving per se is a highly marketable competency. Wikipedia extols: 'considered the most complex of all intellectual functions, problem solving has been defined as higher-order cognitive process that requires the modulation and control of more routine or fundamental skills'. Let's un-pack this problem solving talent; what does it actually mean in practice? To be: systematic, organized, methodical, intellectually dexterous, adaptable, resourceful, objective. To do: planning, analysis, practical knowledge, application, prioritization, conflict resolution, assessment, implementation, resolution, surmount obstacles, evaluate, make decisions, use judgment. Forget problem solving 'per se', just a few of these attributes sprinkled through your C.V, will go a long, long way! Leverage your preferred operating style. Are you a visual, auditory or kinaesthetic thinker? Take the test on the website: www.theaccountantscoach.com. Once you've identified your preference, exploit it, seeking new modes working (graphical, audio, applied tools). Merely raising conscious awareness of your style will capitalize on your natural resources, further unlock your potential and achieve synergy. Systemise your approach. Figure out your problem-solving processes, pin them down and avoid getting stuck in a circle of solving the same problem over and over again. Not only does this save time, but it boosts performance in unfamiliar or ambiguous situations. And reduces stress. Engage the right brain. Add a soupcon of creativity. Beware of pernicious 'left brain accountant' labelling. Mental skills are actually evenly distributed throughout the cerebral cortex and we the potential to develop all our skills. 'Left or Right brain dominant' just means you have not yet developed your full skill set. You are sitting on untapped resources. Work your human resources - smarter. Your team, your (life) partner, your kids, your non-accountant mates. Team work means - even more - synergy! New perspectives are invaluable - that's what coaching is all about. And just moving thoughts to words can unlock conundrums. So there you have it. Celebrate and promote your precious problem solving assets. Then hone them to perfection. And the final words of inspiration from Duke Ellington: "a problem is a chance for you to do your best". So you want to be happy? Simple: just shut your eyes and wish hard! Wham-bang, you’re happy! That’s Positive Thinking, and people (yes even us amongst us cynical Brits?) buy into it. Do you swallow that? Many don’t. Some people actually blame Positive Thinking for the credit crunch (You wanna house? Have one! ), and I bet that soldiers hope their commanders have something better than hard wishing up their sleeves. Or was the Charge of the Light Brigade a disaster because commanders didn’t wish hard enough? What’s your take on Jekyll and Hyde, one-and-the-same protagonists of Stevenson’s tale of a physician and his murderous Other Self? Gothic Horror nonsense? Real human behaviour, albeit psychopathological? Or something closer to home? To put it another way, how do you see yourself? Are you a simple, uncomplicated soul? I bet you don’t brag about your ‘multiple personality’, which suggests ‘disorder’. do you enjoy yourself most? And please, keep it to yourself! Although in fact we already know, because Chicago’s Professor Csiksentmihaly has established exactly when we enjoy ourselves most. If yeou’r rignead tish Nelswetter yeou’r prolbaby an accatnount, therefore a left-brainer. If, however, you successfully decipher these first few lines, you have something of the right-brainer. So contagrulantios, you’re moving towards being a whole-brainer! And whole-brainerdom is good: it means balance, synergy and fulfilment, and you need to nurture it! It’s time for the mouse to ROAR - or at least speak firmly without nervously twitching whiskers! Here are twelve tips on acquiring and developing self-confidence. Remember Oz, where the mighty Wizard was really an old man pulling levers and speaking through a microphone? Or the Vikings - fearless fighters, but likely fuelled with drugs and alcohol? Read the full newsletter right here. you’ve got to make them stick: as emphasised in recent postings! So let’s identify the enemy. The way you think can be a key factor in your success - and many people are failing to use their intellectual resources in the most effective way. Love the name, love the product. This is a dream product for 'regular' auditors, like me, with a far from sophisticated IT skillset. Did you ever baulk (or blow the budget) when expected to wheel out CAATs on a sporadic basis? Despite the costly training, by the time you actually get round to using them for real, you've forgotten virtually everything you've learned and any remnants are wiped out as a big dose of panic sets in. If this sounds familiar then you must read my interview with Charlie Walker from Reinvent Data Limited. Charlie has created TopCAATS, a suite of tools within excel, designed to be used by non-specialist auditors and accountants quite simply to make our lives easier. The following article first appeared in the ICAEW's Finance & Management journal March 2009. Have you reviewed your own ROI? If not, 2009 is the year to get your personal assets working more smartly. Forget the results by volume approach. Time Management is just about trying to do more. Progress comes, not from saving time, but leveraging it. Saving is limited to the hours you save; leverage allows you to multiply the effort applied. It’s imperative that you understand why you are doing what you are doing. What’s it all for? What are your goals? If you aren’t clear, you need to draw up some well formed outcomes. If you don’t, you are in grave danger of being efficient rather than effective. Efficiency is getting things done. Effectiveness is getting things done, to worthwhile effect, that take you towards your goals. What you do is infinitely more important than how you do it. Efficiency is irrelevant unless applied to the right things. Which 20% of your activities contribute to 80% of your results? And then there’s Parkinson’s Law: a task expands to fill the time allocated. How much do you get done in the week before your holiday? Use these laws together as the bedrock of your leverage strategy. Identify the critical tasks that contribute most to your goals and then set deadlines. Instead of trial and error get some role models. It’s not easy to find one person who embodies all your values, beliefs and aspirations, so put together an inspirational composite. How do they get results? What patterns and behaviours do they use? Look, learn and model. Discover what psychologists call flow. Also known as being ‘in the zone’, flow is the mental state of operation in which the person is fully immersed in what they are doing, driven by energized focus. An extremely productive state, you’re at your most creative, sharpest, problem solving best and producing your highest performance. Flow’s greatest foe is interruption; so bag some blocks of protected time. Mindfulness is the act of consciously paying attention, in the present, on purpose and non-judgmentally. The opposite of being on "automatic pilot’’, mindfulness is efficient, reduces repetition and aids retention and understanding. Plus the ability to notice what is going on, as it arises, also fosters flexibility in stressful situations. Once you understand your preferred styles you can leverage them. Are you a visual, auditory or kinaesthetic learner? Do you like to get stuck-in or read and plan first? What are your dominant types of intelligence? Are you using mind friendly techniques like mind maps to optimise your learning, understanding and retention of knowledge? ‘if you do what you’ve always done, you’ll get what you’ve always got’. Leverage is the art of getting more done with the same, or less, effort. How far will take you in 2009? Chances are 2009 is still ushering in a troupe of challenges, complexities and unprecedented change, not just in the economy but for you, in your own role. As pressure intensifies and the demands from our stakeholders increase, the time has come to take a step back. It’s no longer enough to work in the job; you also need to work on the job. What worked for you in 2007 and 2008 probably won't cut it in 2009. You need a new approach and new thinking to deal with a rapidly changing landscape. You need to achieve more with the same or even less resource. You need Time Leverage. One of the most powerful coaching tools I use is the Wheel of Life. It's a simple tool which helps determine the current focus of your time and energy. This in turn can help identify areas of relative neglect and thus define where you would like to make improvements. The coach helps you consider each area of your life in turn and assess what’s ‘off balance’. The Wheel of Life is powerful because it gives you a vivid visual representation of the way your life is currently, compared with the way you'd ideally like it to be. It is called the "Wheel of Life" because each area of your life is mapped on a circle, like the spoke of a wheel. In the example above, the client feels that their highest levels of satisfaction are in the areas of Family and Partner which they have rated at 80% (4/5). The lower scoring areas are Career and Finances and these are likely to be where they would like to focus and make improvements. Email me at info@theaccountantscoach to receive your own Wheel of Life template. Or take up the special offer at our sister site, worksmartplayhard and get your very own Life Audit. It's February. Running on empty? Go on working like crazy, that's what - because February's just January without deadlines. So how do you maintain momentum when there’s no pressure? Any new year is a different year, and I’m betting 2009 is going to be seriously different: tougher than 2008 and unprecedentedly complex, a proper you-ain’t-seen-nothing-yet year. So ring out the old, ring in the new, and out with old ways! The French say: autres temps, autres moeurs, which I’ll translate as ‘different times, different behaviours’. Horses for courses: what worked then won’t work now. Today’s problems require today’s solutions. But why can’t accountants achieve a balance? Have you heard the one about the frog? Frog as in rana temporaria, the common frog who, dropped into boiling water, will leap to safety, but boiled up from ambient, will simply cook. Er, yes, I know it’s a song about a jailbird – but hey! What a fantastic motto for a profession: what a fantastic motto for our profession! Up until now my focus has been on sharing with you tips and techniques to enhance your personal and professional development. Today, I’m going to change tack. Today, let’s look instead at what’s right about the accountancy profession. The features that attract over 11% of the nation’s best and brightest young graduates. A powerful technique that I’ve found my clients love. Let’s celebrate our assets! Or how about a bunch of tourists, oblivious to the fragrant beauty of Granada’s Generalife gardens, absorbed in texting? (yes that’s us now) fidget with techno-toys. Those Ancient Greek giants with fifty heads and a hundred hands apiece must have been whizzo multitaskers. Computers are. You, if human,are not. This month, it’s all about me: a true-life case study. What I’ve done, what it’s done for me and what it could do for you. I’ve been up to funny business. No, not embezzling clients’ funds. I’m talking about learning a new trade: stand up comedy. Culminating in a live stand-up session at a night-club where I launched a one-woman assault on the stereotype of us accountants as just boring number-crunchers. You think that last line’s not a showstopper? Oh, yes it is - because strenuous, misdirected effort will eventually stop your show. Practice owners and partners, now learn the tried, tested and proven critical success factors you need to implement to keep ahead of your competition, including 61 proven practice-building ideas that are ready to implement in your firm – immediately. Whatever the size of your practice, you’ll benefit massively from the information you’ll receive. These are not impersonal seminars, but small workshop events designed specially for partners and practice owners which give you the opportunity to chat through any specific marketing issues confidentially with one of our marketing consultants. Although the workshop is sales and marketing focused, it requires no prior skills in these areas and you’ll go way with your own tailored action plan and a host of easy-to-implement activities all designed to improve your profitability. You’ll need to hurry, though! Places are limited at each venue, so allocation is on a first-come, first-served basis only. We have also deliberately positioned the event at a price affordable for all at just £98 + VAT. As one of the first to hear about the workshops, you have the best chance to reserve your places on your preferred date. call 0800 803 0826 NOW. This essential workshop is covered by our 100% Full Refund Guarantee, so there’s no risk whatsoever for you. If at any time during the workshop you don’t feel you are getting great value from your attendance, simply inform us and we will give you a full refund, without question. The Accountant says No! Say it. Mean it. Love it. A long day gets longer. Interruptions. Phone calls. Endless emails! Your 9 pm dinner date is looking as remote and as jolly as Scott’s Last Camp - and suddenly they’ve called an unscheduled team meeting! Wow! You’re so popular! But love it or hate it, you’re merely human and there’s only so many hours. So, what could help on such a day? Emotional Intelligence (EI) or EQ refers to the ability to understand your emotions, responses and behaviours. EI matters. EI includes self-awareness, impulse/mood control, persistence, personal motivation in the face of frustrations and the ability to keep distress from affecting the ability to think. Not to mention empathy, seeing others’ points of view and reading and appreciating their emotions. EI is the key to better business performance. The first test to developing EI is self-awareness: recognising your personal emotional strengths and weaknesses. Once you’ve got a base line you can start moving forward. This test provides a baseline. It covers 2 parts of the EI quadrant: Self-awareness and Self-management. Don’t forget that EI also includes Social awareness and Relationship management, but the starting point has got to be ‘know thyself’! Click Download to rate your EI. If you haven't found them yourselves, let me introduce you to an exciting new set of services from the fantastic, innovative Accountants Circle. This is something rather different. The Accountants Circle offers a unique approach to working with accountants. The focus is on value, and how that value is delivered. While The Accountants Circle provides accountants with quality website development and a variety of outsourced services, it's actually the guts of their membership concept that is really different. At the moment many of you in practice, particularly the smaller practices, use a variety of tools and templates sourced from all sorts of people and places to help you deliver your service. It can be great to get your hands on something that helps, but often these require a fair knowledge of Excel and changes to formula each time they're used... so they can still be time consuming. Sometimes you or your team spend time creating new templates to do this when nothing else seems easily accessible. The Accountants Circle start with the premise that most accountant-provided services are not greatly different from one other. So as a member of the Circle you can access tools designed by accountants for accountants. And stop re-inventing the wheel! The Accountants Circle draws on the experiences of its own team, along with the input and demand of its members in providing you with an ongoing development service. This is peer-based collaboration and leverage at its best, albeit with a small monthly membership fee. As this venture grows, I'm quite curious to see just what they'll be able to offer accountants. At the moment some of the tools are certainly interesting and should prove great value for many accountants in practice, especially those that deal with SMEs. These do come personally branded for the practice and can make for some great marketing/promotional tools too. Examples? Where shall I start? Let's try, templates for: preparing management accounts, providing budgets and projections, managing assets and their depreciation. Remember, if these templates don't suit your needs, you can have them modified by The Accountants Circle. The same goes for new templates. If you are looking for a template that's not there yet, ask them to do it for you! In other words, a bespoke service. For such a modest monthly membership contribution, it shouldn't be hard to quickly recoup the cost against the value gained in terms of time saved, plus quality and assurance. So, what are you waiting for. Just click here and see for yourself. How would you like to spend just 10 minutes learning a new skill that will help you in all of the above areas? In the last year, Mind Mapping has given me all of these rewards and truly revolutionised my approach to knowledge, learning and business. Read on for the accountant’s introduction to Mind Mapping. From Beancounter to Liontamer was the subject of my most recent contribution to Accountingweb. You can read the full article here. However, the topic of accountant stereotypes is also the subject of my first short stint in stand up comedy. This summber I've been working with Take A Stand to learn a new trade. You can read about my exploits in my monthly newsletter. To sign up for future newsletters on personal and professional development technques especially for accountants, email me at info@theaccountantscoach.com. Poor concentration? Fatigue? Mental fog? Suspected food sensitivities? Faulty sleep patterns? Susceptible to every bug that’s going around? Or perhaps you have multiple health niggles. Individual niggles which seem too trivial to see a doctor, but en mass they’re affecting your wellbeing. If this sounds like you, then I’m delighted to introduce you to someone who can help: Helena Ederveen – my friend, colleague and a past client. Helena’s a highly experienced Clinical Nutritionist, and Associate Member of the Australasian College of Nutritional & Environmental Medicine. She’s lectured all over the world and collaborated with other experts, as passionate as herself, to create her unique solution-focussed service as a Health Coach Adviser. Helena’s approach is holistic. Your body works as a system; so merely concentrating on one or more ‘fragments’ such as weight management or sleeping disorders will only take you on the proverbial ‘wild goose chase’! Helena will teach you how to listen to your body. And once you understand your own biochemistry, you can take your first pro-active steps towards creating beneficial change in your well being. Helena’s expert, in depth consultation will introduce you to a new way of thinking and set you on the road to a healthy, happy future. And there’s more. By tacking these small niggles now you could be taking the preventive route to avoid: cancer, heart attack, depression, diabetes and many more life-threatening disorders. I’m proud to be introducing Helena to my client base in the UK and Europe. But wherever you are based in the world – she is now able to offer her unique service. And we’ve collaborated to offer you a very special package. To take advantage of this offer and book a free consultation, go to her website A Holistic Health Coach Approach and click on the Contact tab, quoting CMcL as your very special discount code. Helena’s passionate about health and wellbeing. Share her passion. Just imagine what it could mean to you when you learn how to take charge of your own health: working one-to-one with a health coach, focussed 100% on your goals, your actions, your results…. The solution: working one-to-one with theaccountantscoach. To set goals, take action, max your performance. This is much more than Life Coaching. Drawing on a long Top 4 accountancy career, both as a practising professional and developing other accountants, theaccountantscoach is the only independent to specialise in coaching the accounting profession across the globe. Using cutting edge techniques, drawing on extensive skills from personal experience in the profession, applying certified coaching expertise, you can have a bespoke coaching programme designed to meet your unique needs. Choose between face to face, telephone or the innovative e-coaching programme. CPD at this time of year? Well, why not? Last year's declarations are out of the way. You are on the home stretch deadline-wise. It might be time to start reminding yourself of your tentative CPD plans for the year. But have you asked yourself recently, what exactly is it? CPD, that is. Take the DTI’s description: ‘CPD is defined as the holistic commitment to structured skills enhancement and personal or professional competence’. Did you know that? CPD encompasses personal development too. Accountants Continuing Professional Develpment. CPD - Banish the Fear! Coaching. It's not just for FDs! Accountancy Age published an article on coaching last week called 'Personal Touch'. As a coach and accountant myself I warmly welcomed this article which gave an excellent overview of the full spectrum of coaching and its benefits. But why the focus on FTSE 100 FDs? The underlying assumption is that coaching is the domain of the highest earners, unaffordable, out of reach and irrelevant to the rest of the profession. Nothing could be further from the truth. All the benefits that accrue from coaching FDs are at least equally relevant to the rest of the profession: from time management and worklife balance support, to setting career goals and boosting professional performance. Not to mention the unique qualities of coaching as a methodology. It's highly bespoke (and hence time efficient), flexed to individual needs. It's utterly results driven. And as a client you are buying 'accountability' and don't underestimate the power that has on motivation. Plus it provides a truly non judgemental forum. The reason that coaching can be so affordable is that it is easily accomplished remotely (telephone or email). Many of my clients, for example, are individual accountants who are seeking an unbiased listening ear, independent of their employer or business. So come on Accountancy Age, less of the elitism please! 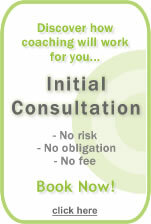 Coaching is available to, and attainable by, all of us accountants! To find out how coaching can benefit you or your organisation, email me at info@theaccountantscoach.com to book your complimentary taster session. Wondering about the heading? Not as slick as my usual style? Well, did you know that 'accountant jokes' ranks as one of the highest keyword effectiveness terms with the search engines. Basically, this means lots of people are looking for accountants jokes but there's not much competition out there. So forgive me for a Little exploitation. You can access the book via at www.pro-manchester.co.uk. Donations are requested for the Wood Street Mission, a charity which helps alleviate poverty in children and their families. Any Accountants for the Dragon's Den? Accountants, I'm sure you know how that first impression is absolutely crucial. You know what they say; people make up their mind about you within seconds of seeing you for the first time. OK, first impressions can be undone, but it takes time, energy and money. Why go through all that hassle when you can get it right first time? That's why over the coming weeks I'm working with specialist image consultants, ALTER EGO. As I go through my own personal image audit, we don't you share my journey, pick up the tips and techniques that I learn along the way. And learn some of the image consultancy trade secrets from ALTER EGO themselves. If you can't wait that long then find out more about ALTER EGO now. More info unfolds below. Did you know that the Dutch affiliate of Baker Tilly International are the first European accountants to open a virtual office in Second Life. Accountingweb ran the full story, pointing out that the Americans got there first. But there's still plenty of scope for consulting, budgeting and accountant coaching, I believe. What do we accountants think of this? Are you tempted? I am. I''ve had a look round and as another manifestation of web 2.0 phenomenon, its pretty enticing. But what puts me off is the ROI. I can see it being addictive. I'm scared of being sucked in. Much like my 10 year old son has been with Runescape, totally immersed in character. On one level its' a bit of fun but many are now taking it seriously as a commercial venture and that's where lil ol' 'risk adverse' me is baulking from taking the plunge. Bear in mind that I am the obsessive type, there's not such thing as a dabble for me, I'm in there with two feet. Accountants, what do you think? Any takers? Who wants a strategy meeting in Second Life hosted by theaccountantscoach.com. Will you join me? Dare we? Thought for the day is a regular feature at the Mind Tools Career Excellence Club. Is being right more important to you than reaching agreements, or getting along with others? In a world where knowledge and education are valuable commodities, it’s easy to get caught up in wanting to be right all the time. You’re smart and educated, so why shouldn’t what you say be right? Think about this – even if you ARE right, if asserting that fact results in damaged relationships, failures to reach agreement, or excessive time wasted arguing, is being right really worth it? When you allow others to be right, you open yourself up to other perspectives, and you are perceived as a person who is willing to negotiate and reach agreements; not just argue to the death. When you are experiencing conflict try saying, “You are right.” Watch how the dynamic of the conversation changes. Certainly there are times when being right is the only path to pursue: But when being right becomes your mantra on every point, every time, that’s when you need to step back and ask yourself why it is so important. Try finding ways in which the other person is right: It’s a great starting place for negotiating your win-win solution! Accountants, to kiss or not to kiss? That is the question. Have you been following the AccountingWEB online debate, Accountancy - Shape up or Ship out? Want to know who thinks what, among us ordinary accountants, not to mention a few movers and shakers? Well if you do, and you haven't already been party to the debate, here's a quick whistlestop tour of the salient points. It all started at the end of February when AccountingWEB posed as its question of the week Accountancy - Shape up or Ship out?. The gist was to counsel member opinion as to whether accountants need to be more innovative, looking forward to a future as business consultants. Or, for those with a longstanding reliance on compliance, to ship out of the accountancy profession, as their traditional compliance base is eroded and they're burdened with an ever-increasing regulatory load. You're a student considering Accountancy as a career, but don't know where to begin and don't know how you're going to find the time to do your research. Or maybe you've already set your sights on a career in Accountancy but are not sure how to choose the type of firm, the Accounting body, or the discipline. You're possibly considering a career switch and not sure if a career in Accountancy is right for you. Perhaps you're a school leaver who needs to know whether to do a degree or go directly into Accountancy. Who can you turn to for guidance on application form completion, interview and case study techniques? Who can mock interview you, give you feedback and coach your interview performance? www.theaccountantscoach.com, that's who! With 18 years of Top 4 accounting firm experience: screening, interviewing, assessing accountancy applicants, not to mention planning and implementing accountancy recruitment campaigns. With current experience of working with small local firms and middle tier, coaching and training accountants. With the professional background of practising as a chartered accountant plus being a trained professional coach and NLP practitioner. There is no one else who has this unique mix of skills to help you plan your accountancy career and take your first steps to getting your dream accountancy job. Imagine what you could achieve, working one-to-one with a specialised accountancy coach, focussed 100% on your goals, your actions, your results. Email me now at info@theaccountantscoach.com to set up a no-commitment call to discuss your preferred method of coaching: face to face, telephone, or email/instant messaging. Mark Forster is a writer and life coach, specialising in personal organisation. He recently gave a lecture on Time Management for the ICAEW's Faculty of Finance & Management. And I was lucky enough to attend; my very first visit (21 years into membership) to the hallowed rooms of the Chartered Accountants' Hall in Moorgate Place. It's a great place to meet in London and now I've finally discovered its history-steeped charm, I can see it becoming a regular haunt. Read on for a summary of Mark's guide to Really Effective Time Management.